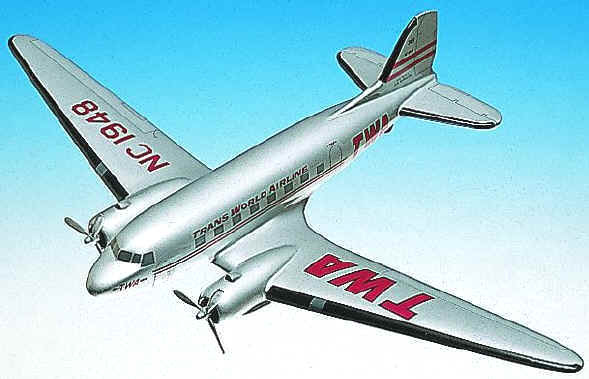 The Douglas DC-3 made air travel popular and airline profits possible. It is universally recognized as the greatest airplane of its time. Some would argue that it is the greatest of all time. Design work began in 1934 at the insistence of C.R. Smith, president of American Airlines. 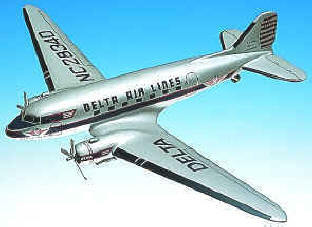 The first DC-3 built was the Douglas Skysleeper Transport, and it was the height of luxury. Fourteen plush seats in four main compartments could be folded in pairs to form seven berths, while seven more folded down from the cabin ceiling. The plane could accommodate 14 overnight passengers or 28 for shorter daytime flights. The first was delivered to American Airlines in June 1936, followed two months later by the first standard 21-passenger DC-3. In addition to the 455 DC-3 commercial transports built for the airlines, 10,174 were produced as military transports during World War II. 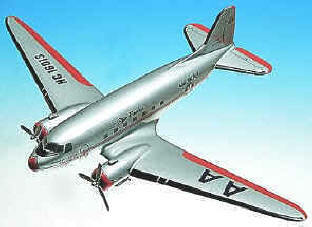 For both airline and military use, the DC-3 proved to be tough, flexible, and easy to operate and maintain. 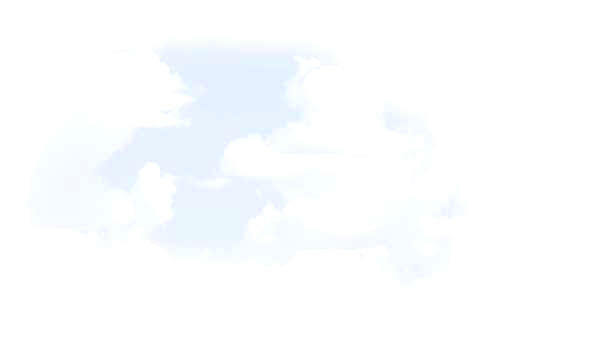 Its exploits during the war became the stuff of legend. Today, more than six decades after the last one was delivered, hundreds of DC-3s are still flying and still earning their keep by carrying passengers or cargo. From our Standard Series. 1/72nd scale. 16" wingspan x 11" long. From our Standard Series. 1/72nd scale. 16" wingspan x 11" long.